Aside from food and first aid supplies, one of the most popular items for preppers to keep in their homes is a firearm. It is important, however, for all preppers to keep any and all firearms safely stored, no matter what other precautions they’ve taken. Weapons should be kept in a secure location so they cannot be accessed by unauthorized people like strangers or children. The first thing to do is research the weapon laws in your area. 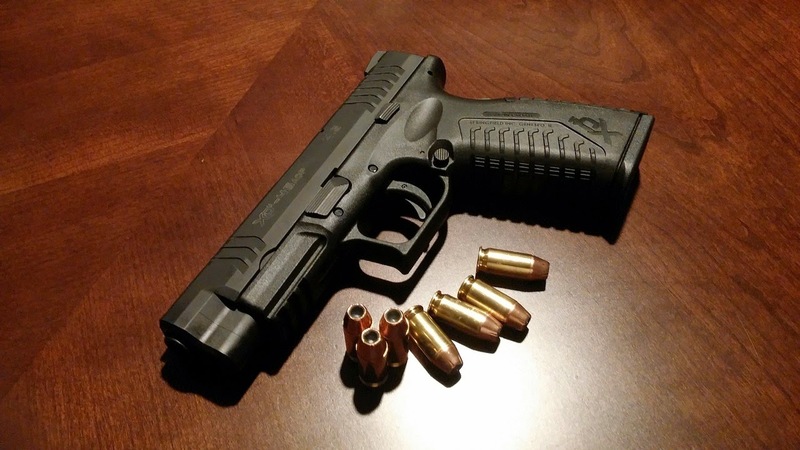 The right to bear arms is extended to many citizens, but there are laws that govern licensing and restrictions for those with criminal records. In some places, it’s legal to openly carry a firearm without a specific licensing procedure as long as it doesn’t cause a public disturbance. In other states, it’s unlawful to carry a concealed weapon. Edmonton lawyer Rod Gregory, who works with illegal weapons possession cases, recommends that all firearm owners refer to their local gun laws to make sure they’re in compliance with all regulations. A weapon is often kept with the intent of keeping a family safe. Unfortunately, there are many instances where a child has found a gun and caused deadly harm to themselves or another. Children don’t always listen, even if you’ve taught them about the consequences and dangers of firearms. It’s better to keep the gun out of little hands with the use of secured weapon storage. While you may want your weapon at the ready in case of an emergency, it will only take a few extra seconds to access a secured location. It might save the life of a child, too. Don’t leave your weapons stashed in unsecured locations like the top of a closet on a shelf, hidden inside books or under a couch. Keeping all your weapons in a gun safe is the best way to keep your family safe from accidental shootings but it’s not convenient when there’s an emergency. Weapons should be within easy reach when you need them to secure your home or your family’s lives. Most large weapons should be kept in a gun safe, but for other secure, hidden guns, a microvault is the answer. This is a safe small enough to conceal in various locations throughout the home, but is safe from unauthorized users since it has a coded lock. You want to keep your family safe from emergency situations, but you don’t want your child or someone else’s child to end up with a serious injury from a firearm. A small vault that can be bolted to the floor, under a couch or hidden under a desk is the perfect solution for keeping your family safe. All pantry shelving is stainless steel wired shelving / anything in a bag or box (pasta, macaroni, rice, packaged mixes, instant oatmeal, cereal, snacks, etc) goes in lock-n-lock containers or buckets with screw-on gamma lids / flour and sugar are stored in their original packaging in zip lock freezer bags in the frig – if there's bugs they can't contaminate the other bags / canned goods & bottles and jars with screw on caps are stored on the wired shelving. OK I have to admit… I dont get this one at all "
It is also good to serve healthy food in beautiful plating to avoid any health complications for all of your guests." I do not think that the type of plates will make any difference? I think some foodstuffs have bugs in them- I personally have seen flours that have been sealed in plastic have mealworms. Its like the factory allows so much of a certan bug thats allready present. Just my opinion but if it comes down to it, I really dont think whether having a gun legally or illegally is going to make a difference in the end. In fact, the only people who wont have weapons are law abiding citizens who follow the rules. Trust me, the 'bad' guys have plenty and they arent exactly legal. Dont get me started on a rant about how the governement is already trying to disarm us.